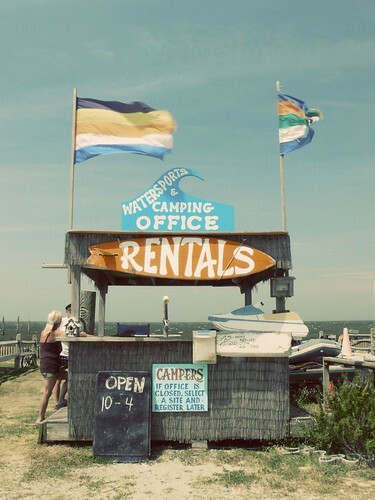 Our first stop on the island was the small seaside town of Rodanthe. 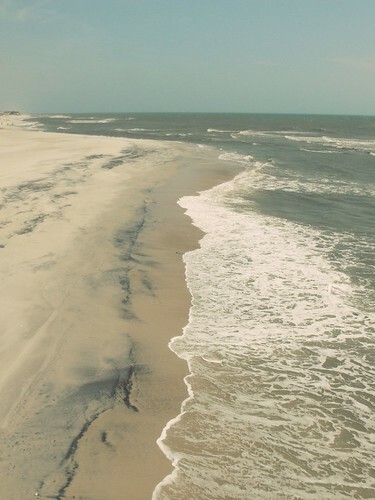 The remote beaches of Hatteras Island looked like this the entire time. It was like having it all to ourselves. I know, this is just a teaser. I want to live there full time. I can't wait to see the rest. These are beautiful. I could do with a beach holiday, this looks lovely and relaxing. Have you seen the movie nights in of Rodanthe? Hi great photos...I am from NC(Swansboro)and I have to say I love Boone too! My family recently move to Missouri and I miss NC everyday. Thanks for sharing. Awesome. :) I love the lines in the first one. I got to plan a trip down south! It just looks fabulous. It looks so wonderful! I don't think I'd want to go home. Jess, I was so envious to see the sunshine and the sand...!! smooth golden sand, and not pebbles... something that I had not seen for YEARS. I want to be there, NOW! Beautiful captures! There is nothing better than the empty beach trips. I think I go more often in mid winter just because of that. Love the first one. I can almost smell it from here. looks like the type of place i would really enjoy! Great pictures! 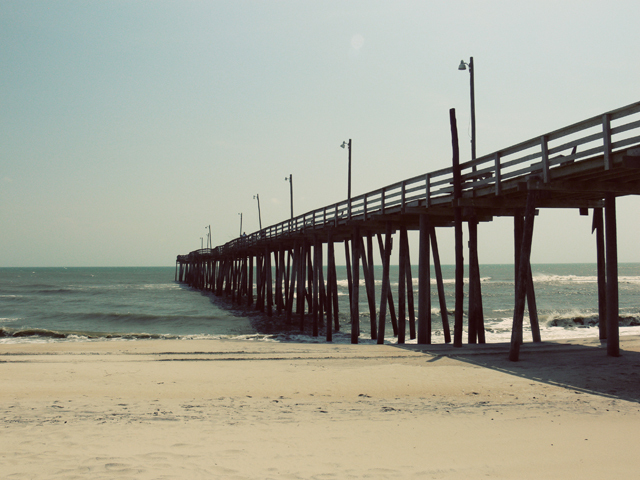 I love the first one -- the long pier. Good photo's But would not want to live there.don't see anyone fishing.give me more to a seafront.show us more from your break. Love the beach shot. Gorgeous! Oh, cool! Can't wait to see more. that beach really does look so wonderful, I havnt seen the ocean up close in 16 years I really would love to see it again soon. i really want to go to the beach. So beautiful! I absolutely love the colors of your photos! Nice place to relax from everything. How do i get there from jax? Awesome shots! I can't wait to see more!!!! Those pics were a breath of fresh air... delightful! Looks so fun! I've been fascinated by the Outer Banks since reading a series of books by Diane Chamberlain that take place there. Lucky you to go! what a calming place you have here.